These are the products used this week. It’s my first time using the nailpolish from “Inocos”since it was a christmas present so I’m not sure how good it is; the colour is really pretty though. 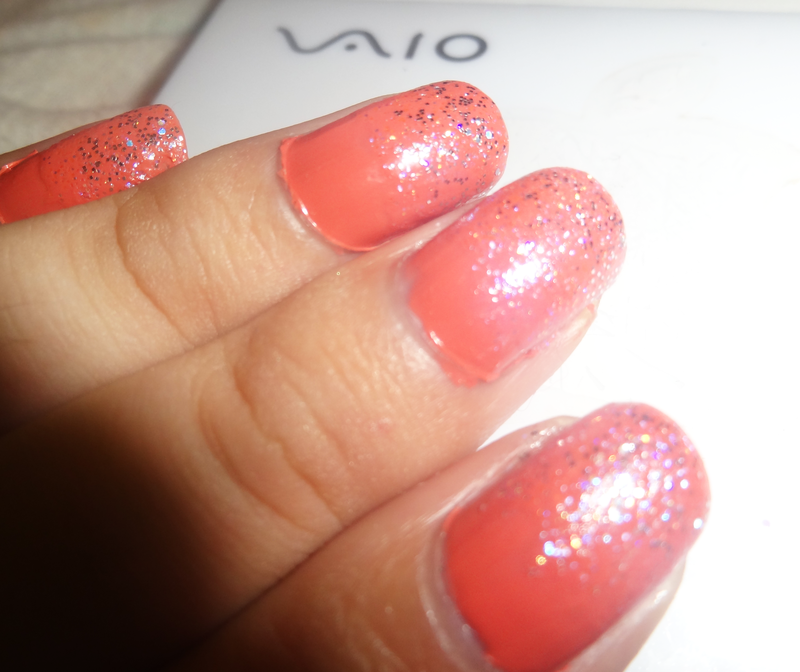 I took this picture right after doing my nails, as you can see there’s sparkles everywhere. The only downside of using glittler nailpolish is removing it – for some reason removing glittler nailpolish is really difficult and takes plenty of time and plenty of nailpolish remover. 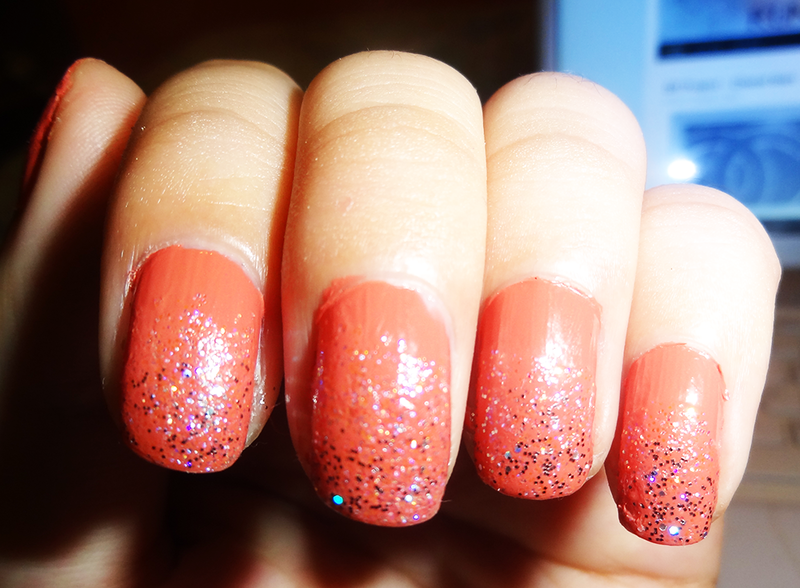 I really like using glittler nailpolish as a TopCoat so I’m probably going to be using it a lot in the next few months! It looks really sophisticated, pretty and you can do it yourself at home. And to be honest, doesn’t take much time or patience. 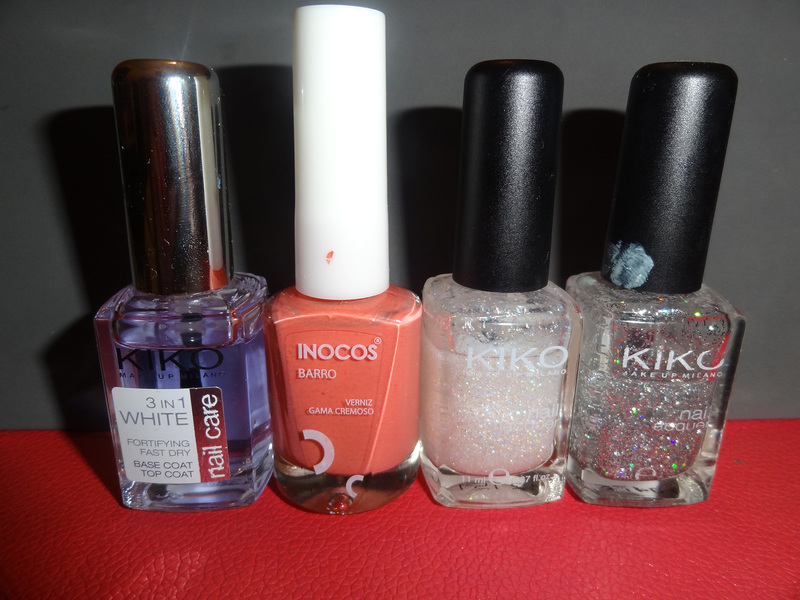 This entry was posted in Make up, weekly and tagged glittler, inocus, kiko, nail lacquer, nailart, nailpolish, weekly nails. Bookmark the permalink.